Consul General Mirjana Zivkovic underlined that the author of the exhibition was the Department for Religious Teachings of the Eastern American Diocese of the Serbian Orthodox Church in cooperation with the non-profit organization "Art Exchange" and Valjevo District Tradition and Cultural Heritage Association. Lesser-known information about the Great War was provided, mostly on the participation of the Serbian people in the military operations with the aim of liberating Serbia. Exhibition portrayed heroic battles, the Albanian Golgotha, the breakthrough of the Salonica Front and the final liberation of Serbia. 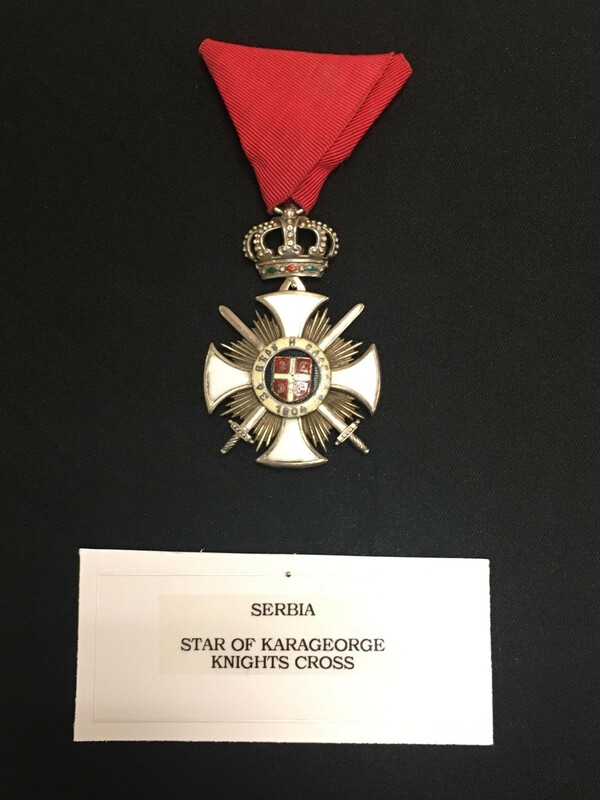 The exhibition also included the collection of original medals from the Great War and the Balkan Wars, as well as an officer's sword, all exhibited for the first time in New York, thanks to the owner of the collection – who wished to remain anonymous. 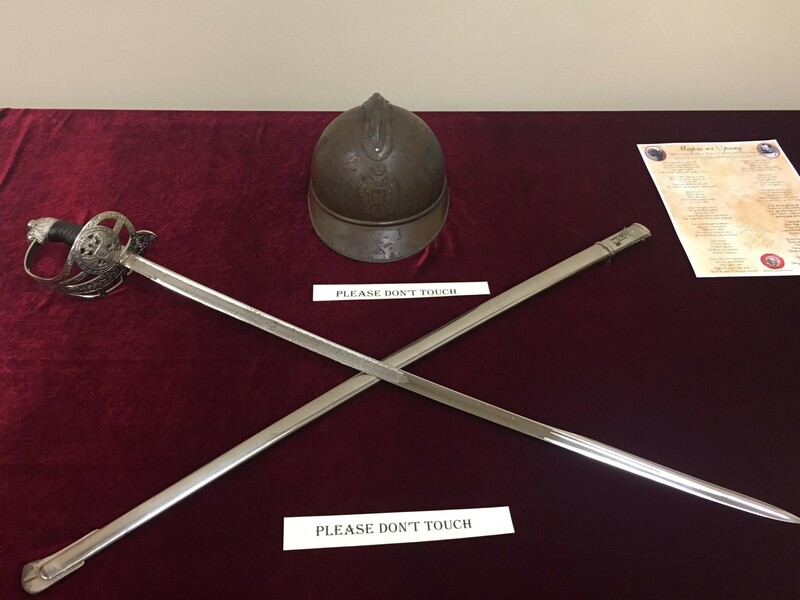 Other exhibits included the original Albanian Commemorative Medal – courtesy of Jovan D. Boskovic's family from Boston, two helmets of Serbian soldiers and two uniforms of the Allied soldiers from the Great War owned by Milana Mim Bizic. Actress Katarina Radivojevic performed a soliloquy from Zorka Novakovic's play "Forgotten", portraying the renowned Serbian painter Nadezda Petrovic, suffering from typhus, who is speaking to her friend Flora Sands while on her deathbed in a hospital in Valjevo in 1915. 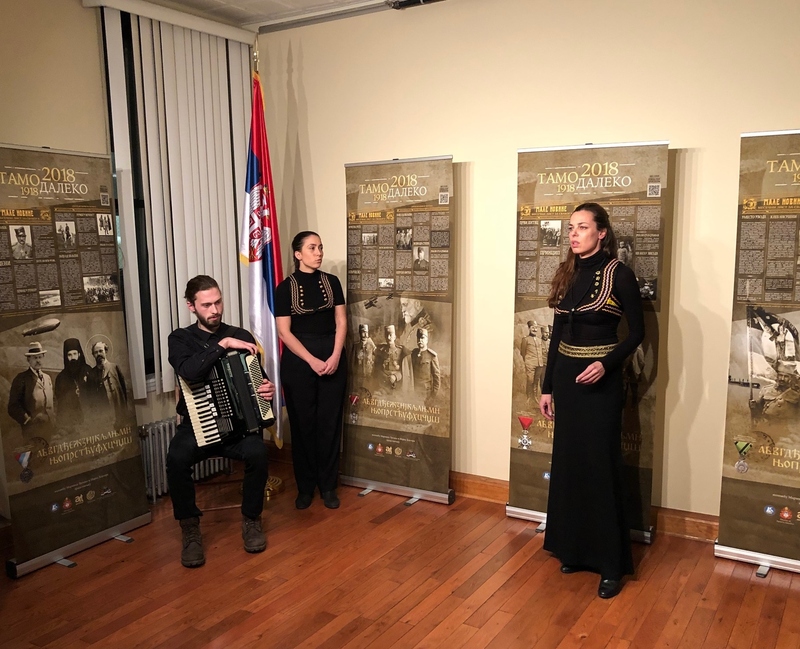 The rendition of the touching words of the dramatic soliloquy was followed by the vocalist Aleksandra Denda performing the epic ballad "A girl defying the Sun" to the accompaniment of Petar Milisic on the accordion. Proto-deacon Jovan Anicic also took part in the event with the song "Wounded man" by Djura Jankovic. Bishop of Eastern America Irinej closed the exhibition talking about the most important cultural events which, in the period between 2014 and 2018, marked the centennial of WWI key events. 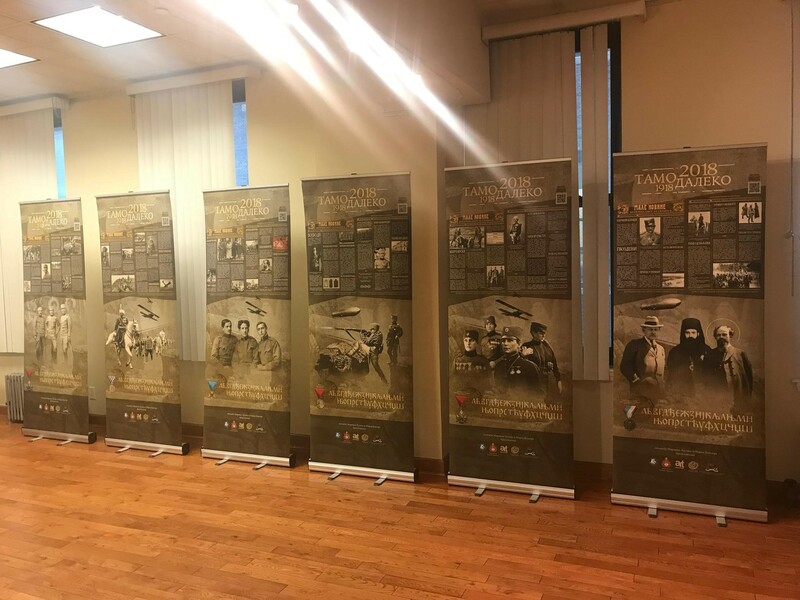 Expressing his gratitude to the representatives of the Consulate General for their hard work and organization, he stressed that this exhibition commemorating the heroic people of Serbia was shown in all the parishes of the Serbian Orthodox Church on the East Coast of the U.S. The event attracted many visitors, including the members of the Serbian community and their American friends who take interest in WWI.